This is another dish born of necessity. Last night, my fridge contained (among other things) a bunch of cilantro and a few chipotle chiles that were about to go bad. So I made up this recipe and had a fabulous dinner! I served it with a caramelized onion and pea couscous, but it would also make a great fajita filling. Or, even better, shred it and make chicken quesadillas. I’m a total quesadilla fiend, so I think I’ve just inspired myself for a future recipe: cilantro chipotle chicken quesadillas with corn salsa. Mmmmm. 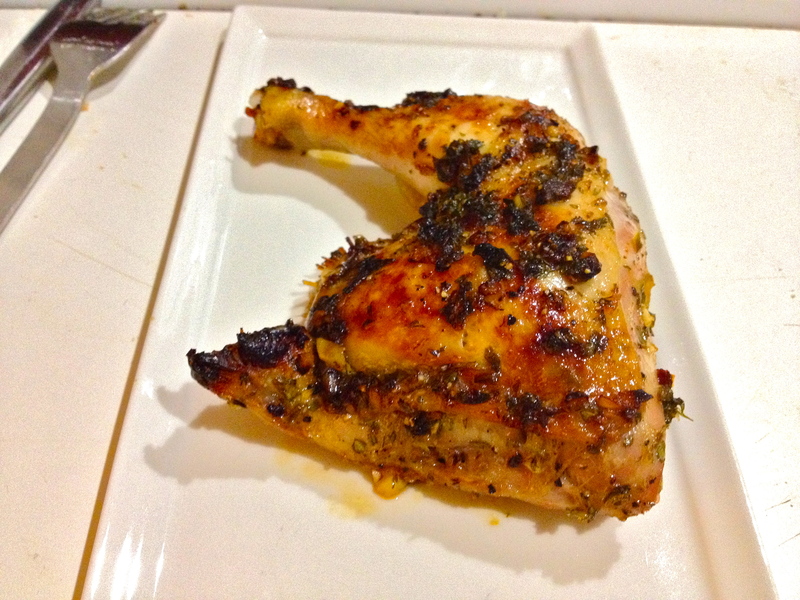 But back to the oven-baked original of today’s post—it’s juicy, really flavorful, and has a nice spicy kick to it. Feel free to use less chipotle/adobo sauce if you’re a spice whimp, or to add another chipotle if you’re extra brave! Add all ingredients to a plastic bag. Seal the bag and rub the marinade all over the chicken. 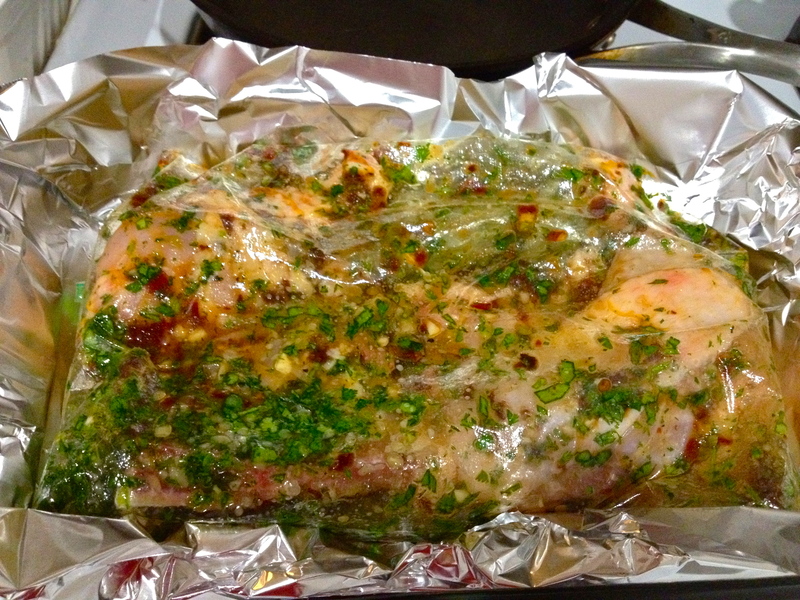 Let it marinate for at least 30 minutes, or overnight if you’re patient (I am not). 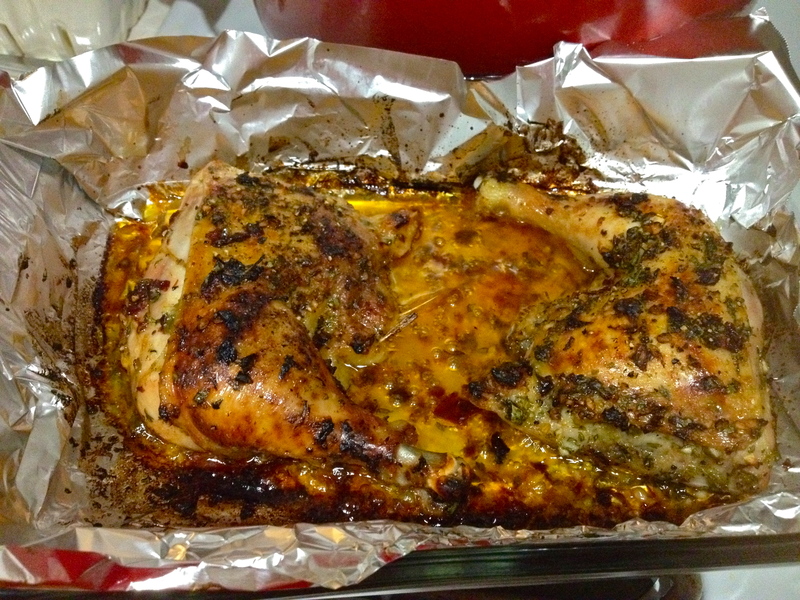 Preheat oven to 375 F. Line a pan with foil and lay the chicken in it, skin side up. 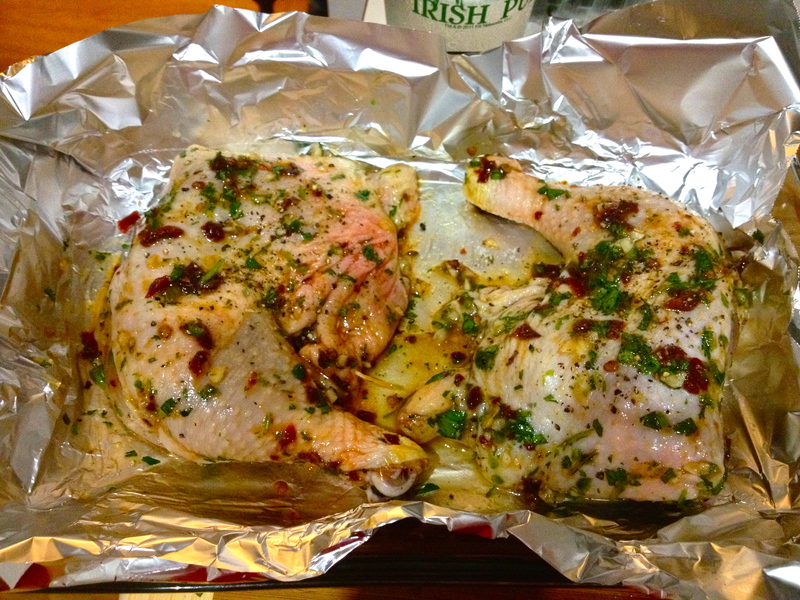 Bake the chicken until it’s done, around 25-35 minutes. That’s it! Don’t you just love an easy yet tasty recipe for a weeknight dinner? Next Hasselback Potatoes with Jalapeño Leek Scrambled Eggs. I love chipotle! this looks like a great recipe. I will email it to myself to try it tonight! Thanks! !